Credits to our beloved Brother Pierre TheBull for awesome work in Razer Green theme! Credits to our beloved Brother Tucker Razorsedge for some used images from his Rise of the Primes theme! Razer Green theme is Pimped bi Tiger. Credits to razorsedge for some used images from his own theme Rise of The Primes. 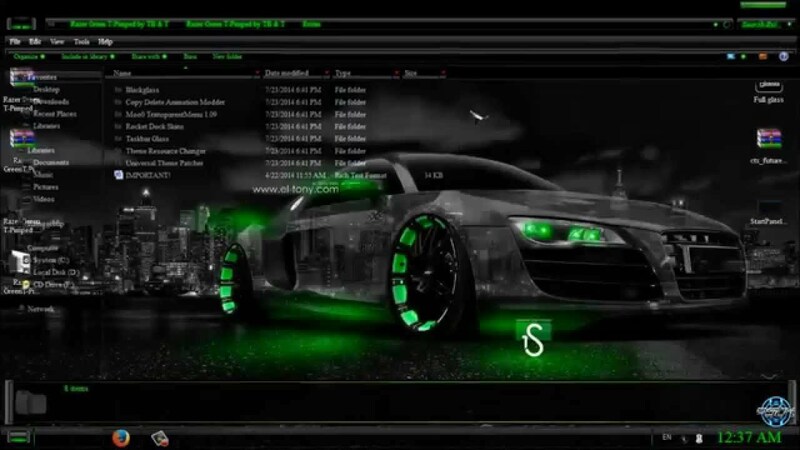 Cool Razer theme, thanks for sharing! Nice tweak, a good variation. I'll check it out later.